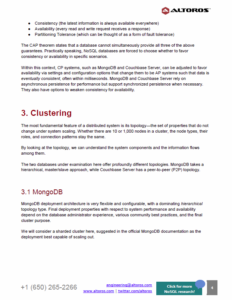 This 45-page paper compares MongoDB and Couchbase Server—two popular NoSQL solutions, diving into their architecture, clustering, replication, and caching. 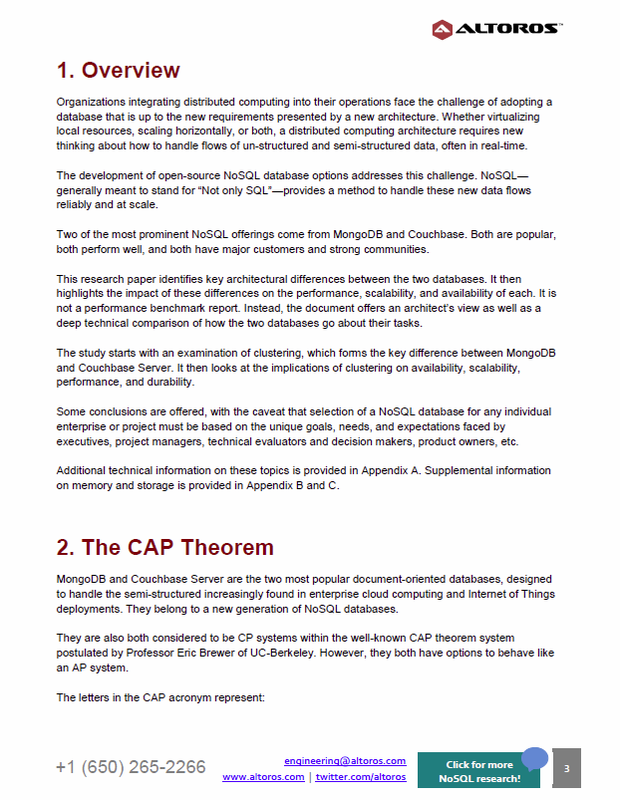 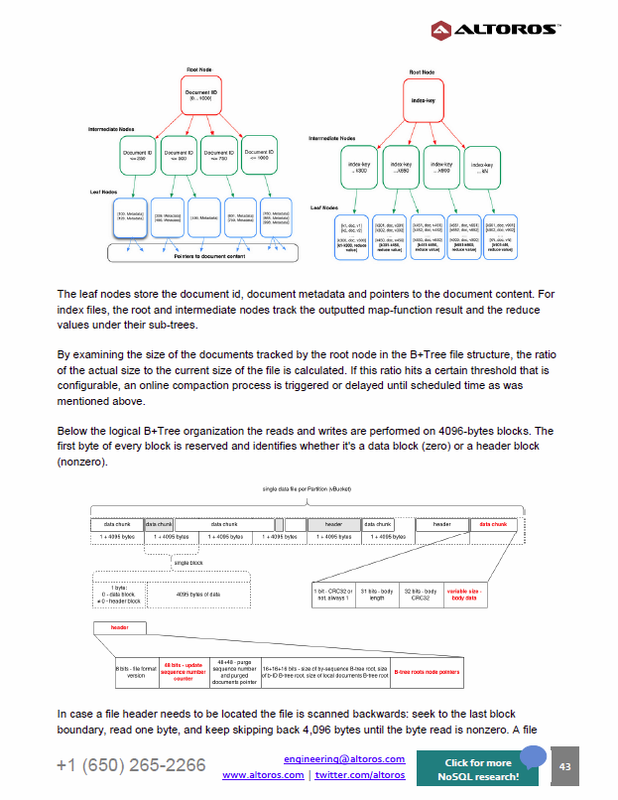 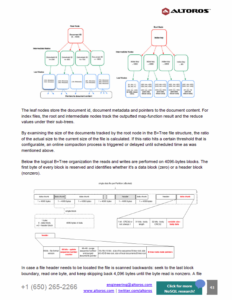 This research paper identifies key architectural differences between the two databases. 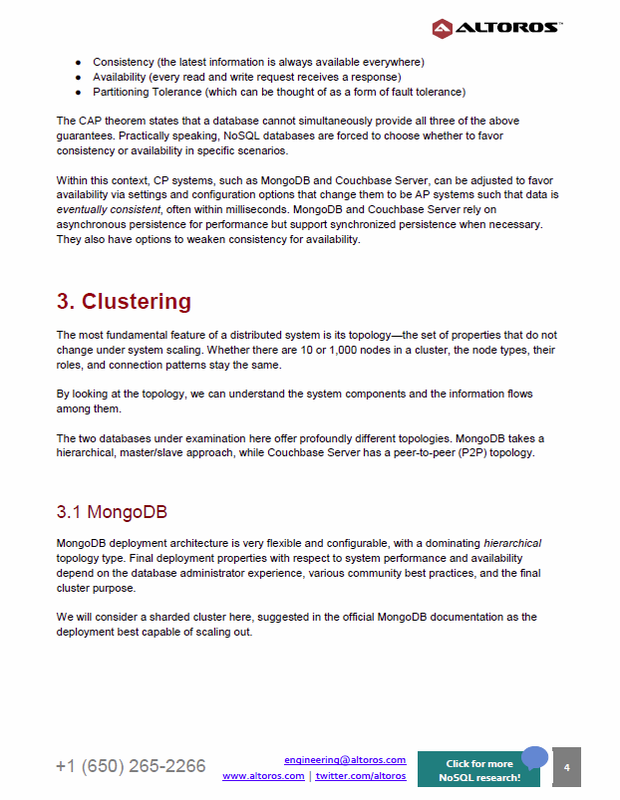 Then it highlights the impact of these differences on the performance, scalability, and availability of each. 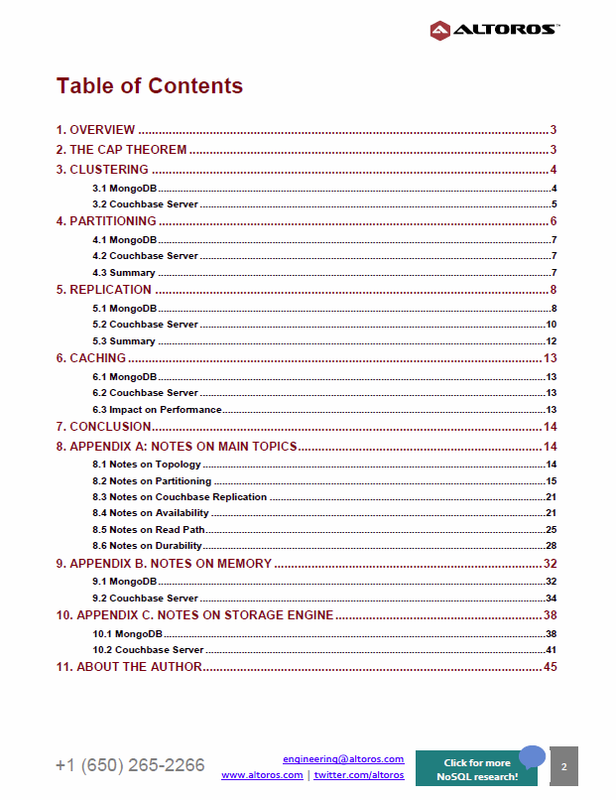 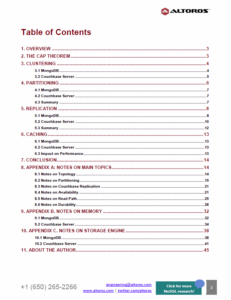 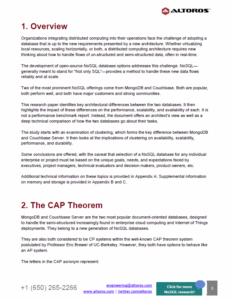 The study also provides detailed notes on topology, partitioning, replication, memory, and storage engine of MongoDB and Couchbase Server.